This free audio introduces you to the important connection between fear and procrastination. Sometimes people put off constructive action towards a particular goal out of laziness or boredom. But very often, the delay is due to fear. In such cases, the procrastination stems from a desire to avoid what is feared and to avoid the uncomfortable feelings, such as anxiety or restlessness, that express the fear.It could be failure that you fear or even success. But understanding that you procrastinate to avoid your fear of failure (or your fear of success) is only a start. Until you figure out what underlies your fear of failing (or succeeding), you won’t be able to manage the fear and stop sabotaging your goals and dreams. In this audio, you learn a simple technique to identify the specific underlying fears that motivate your procrastination. Four of the most common are the fear of disappointment, the fear of wasting resources, the fear of responsibility, and the fear of rejection. Hypnotic boosts with affirmative suggestions for overcoming each of these underlying fears are available in the MP3 audio section of the MINDWORKS HYPNOTHERAPY Store. 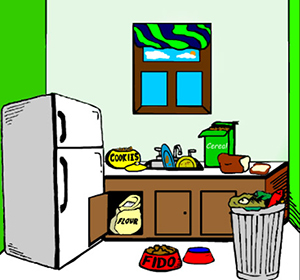 If your procrastination stems from finding a task required for your goal to be boring, check out the boost entitled “Doing Dirty Dishes: Overcoming Resistance to a Boring Task” in the MP3 audio section of the store.